The work demanded of musicians is intense, and the repetitive nature of playing opens musicians to be at a greater risk for occupational injuries. Fortunately, many injuries are avoidable by understanding risk factors and engaging in healthy habits and safe practice. 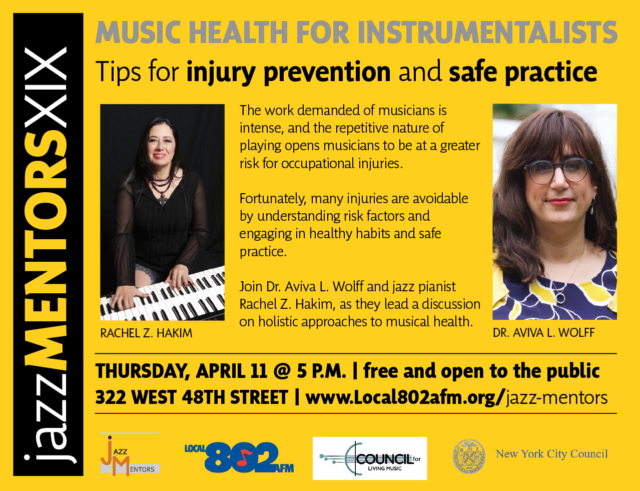 Join Dr. Wolff and jazz pianist Rachel Z. Hakim, as they lead a discussion on holistic approaches to musical health.